Russian music gifts reflect a unique culture — from beautiful art to emotional music. Shopping for a gift for certain people can be a challenge, whether they're the type of person who has everything or one who has very particular tastes. Whoever you're shopping for, they'll be speechless when they open up a Russian music gift from TheMusicHouse.com. 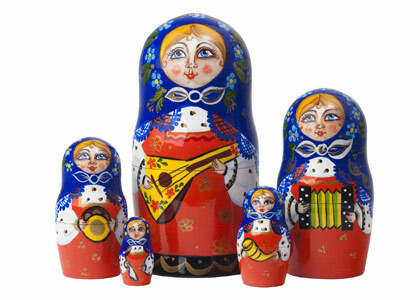 At TheMusicHouse.com, you'll find a great selection of beautiful Russian-themed gifts. Whether you're shopping for a music lover or someone who appreciates art and unique gifts, you'll surely find something they'll cherish. 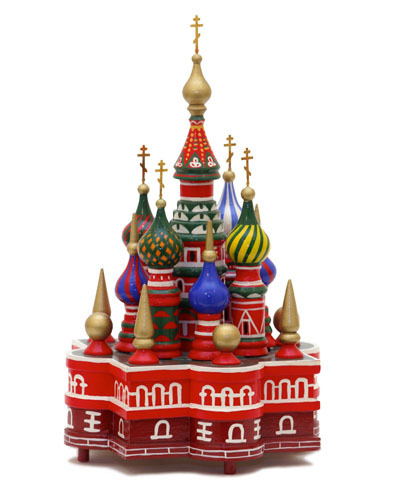 Music boxes: Our beautiful, hand-painted music boxes showcase sights and themes from Russia, like the Saint Basil Cathedral in the Red Square in Moscow. Each box has its own Russian musical excerpt. Enamel boxes: Also hand-painted by an artisan from Russia, these enamel boxes can be used to store small keepsakes in a safe place. Because each box is painted by hand, no two are the same. Nesting dolls: If you're looking for a truly iconic Russian gift, nesting dolls are a perfect choice. Each set has a different pattern, from traditional Matryoshka nesting dolls to more unique versions. When you begin looking at these unique, hand-painted gifts, you'll see how much attention to detail each artist gives to each piece. 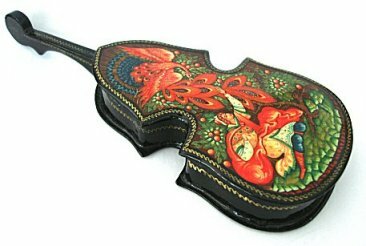 If you really want to find a one-of-a-kind gift that's truly unlike anything else, a Russian musical gift is the perfect choice. With its rich history and distinct culture, Russia is home to gifts with gorgeous appearances and unique styles. You may not see some of the special qualities of our Russian-themed musical gifts in products from other countries. With these gifts, you can expect everything from popular motifs to cultural symbols and icons and more. There are many architectural sights in Russia that stand out, like the Red Square, Kremlin and St. Basil's Cathedral. St. Basil's Cathedral especially has the iconic domed top of the tower that people imagine when they imagine Russian architecture. There are many popular Russian cultural symbols and icons from different times in the country's history. From the Tricolore of the national flag to motifs of ballerinas and their pride of the national ballet, Russia's rich culture has many themes for artists to depict on these musical gifts. Russian music gifts from TheMusicHouse.com are hand-made from wood and enamel. This incredible collection of musical gifts made with the Russian style has pieces that are one-of-a-kind — you won't find anything else like them anywhere else. It takes time for our artists to make just one piece because they're authentic gifts that receive close attention. Our nesting dolls, enamel boxes and music boxes will make wonderful gifts for anyone in your life. From a parent who loves Russian culture to a close friend who loves music, anyone will agree that these gifts are some of the best. They're sure to wow and be a treasured keepsake for a very long time. Our Musical Gifts Department includes many other musical gifts and collectibles. If it's available, we can usually find it for you.